Alex Katz: Small Head (Second State), 1972. Signed, Numbered, Fine Art Print. Alex Katz "Jessica" Beautiful Woodcut Hand Signed & Numbered !!! ALEX KATZ - JANE AWAKENS - MOMA ORIGINAL LITHOGRAPH - 1967 - FREE SHIP IN US !! ALEX KATZ - JANE AWAKENS - MOMA ORIGINAL LITHOGRAPH - 1967 - SPECIAL $ 60 !!! 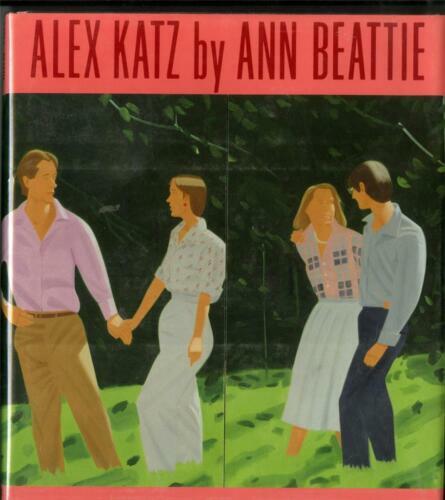 ALEX KATZ by Ann Beattie Hardback Book w/DJ Harry Abrams 1987 1st Ed 26 Illustr.